To give proper platform to the horticulturists and farmers of the State for storing and marketing their produce, Chief Minister has inaugurated Agriculture Produce Marketing Yard completed at a cost of Rs 1.32 crore on outskirts of Parwanoo. 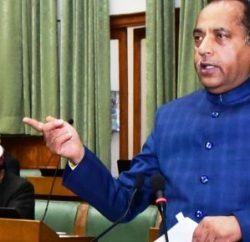 Chief Minister, while addressing the gathering, said that the Himachal Pradesh was heading towards becoming an Industrial hub but it was a fact to be considered that the Agriculture and Horticulture was and will, remain the mainstay of the people of the State. 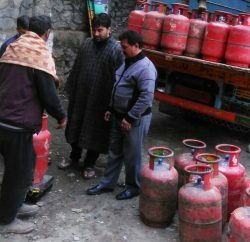 He said that such small yards would also be set up in rural areas of the State. He advised the farmers to grow more cash crops. 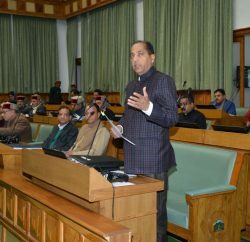 On an issue pertaining to apple cartons raised by the people at Parwanoo, the Chief Minister said that the use of corrugated cartons was environment friendly and people should accept the same and said that the vacant land around the yard would be given to the marketing committee for their use. Cabinet Ministers Vidya Stokes, Mukesh Agnihotri, Sudhir Sharma and Col (Dr.) Dhani Ram Shandil, Chairman HP Agriculture Marketing Board Subhash Manglet, Deputy Commissioner Madan Chauhan and SP Solan Ramesh Chhajta were also present on the occasion among senior officers of the district administration.